One of the two women running in the Democratic primary to unseat state Sen. Konni Burton backed Hillary Clinton in 2016. The other backed Bernie Sanders. Remnants of that divide from two years ago can be found in their current match-up. Two years ago, Beverly Powell and Allison Campolo found themselves on opposite sides of a question dividing Democrats across the country: What kind of Democrat do you want? Powell, a real estate developer, backed former Secretary of State Hillary Clinton to be the party's nominee for president. Campolo, a research scientist, supported U.S. Sen. Bernie Sanders, an independent from Vermont who gained momentum vowing to shake up the status quo and challenge corporate interests in politics. 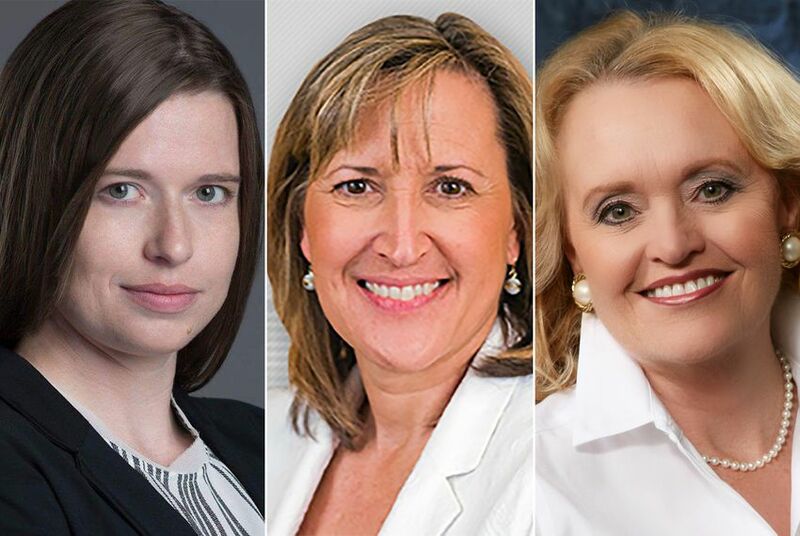 Now both women are running in the Democratic primary to run against state Sen. Konni Burton, R-Colleyville, and are finding themselves again falling into similar camps. "It's time to revamp this party with people who are truly dedicated to transparency, working together, and committed to fighting for the things their constituents need," Campolo said in an email. Of the 31 senate districts in Texas, Senate District 10, which covers about half of Tarrant County in North Texas, is the closest to a swing district. Democrat Wendy Davis won the seat in 2008 and held onto it in 2012. After Davis ran for governor in 2014, the seat flipped to Republicans with Burton's election. In 2016, Donald Trump defeated Clinton in the district by less than 1 percentage point. Powell, 66, believes the district's purple status will work to her advantage in the primary by reminding Democrats that they alone can't defeat Burton in November. Campolo, 30, is echoing Sanders in emphasizing her support for campaign finance reform, along with publicly-funded healthcare and protecting the environment. “I will be refusing large donations if I cannot understand the donor's financial motivations, or if those motivations do not correlate with my ideals,” Campolo writes on her campaign website. Powell has drawn a wave of endorsements, including Davis, U.S. Rep. Marc Veasey, D-Fort Worth, and state Rep. Chris Turner, D-Grand Prairie. Powell said she believes her endorsements speak volumes to the kind of campaign she’s running, one focused on improving public education, defending local control and expanding healthcare across the state. In September, a Fort Worth Star-Telegram story raised questions about both candidates. Powell defended having voted in GOP primaries in the past. Her campaign told the Tribune she lives in a conservative part of the county and chose to vote in GOP primaries in order to have a say in who was elected. Campolo, on the other hand, had her eligibility to run for the seat questioned since she only moved back to Tarrant County last year after attending graduate school in Oklahoma. State senate candidates must have lived in a district at least a year before a general election. On her campaign website, Campolo said she had moved back to the district in April, early enough to make her eligible to run, but that her roots in the area go back even farther. “I've lived in DFW my whole life, whether that be in Irving, Denton, Carrollton, Argyle, or Euless,” Campolo said. Despite their differences, both Democrats' campaigns share a common theme of aiming to get a senator in the district who will combat divisive ideas in the state legislature. Campolo said the election of Donald Trump introduced a new divisiveness to politics both nationally and at home in Texas. But she also called Trump's election a “silver lining” by getting people more civically involved. “I think people are ready for a fresh face of the Democratic party,” Campolo said. “We've tried the old ways and they're just not working for us any more." Correction: Based on wrong information provided by the candidate, this article originally gave the wrong age for Beverly Powell. Can Texas Republicans hold America’s reddest large urban county?